CHILDREN'S & YOUNG ADULTS. 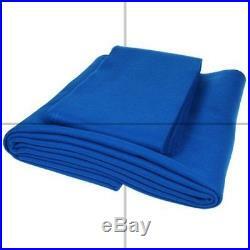 Speed Pool Cloth, 7 x 4 Bed & Cushions, Blue. Speed Pool cloth, 7 x 4 bed & cushions, Blue Brand: ClubKing Ltd Model: unknown EAN: 5055374306307 UPC: Does Not Apply Item Weight: 1401.6g Studio: ClubKing Ltd Type: Misc. Dimensions and weights shown may refer to the item's packaging, not to the item itself. We reserve the right to cancel any orders were it is subsequently found that posting the item would breach local postal restrictions or laws. This helps us keep our ratings high and ultimately our prices low. We do not offer collection on any of our items as no stock is held at our registered company address. Orders will be fulfilled by our own warehouse or a 3rd party supplier at our discretion. Perishable food items are also excluded from return. We promise to do everything possible to put things right for you. We take every care when listing our items to ensure that any stock images or catalouge content used does not infringe VeRO or Intellectual Property (IP) rights. And we will remove this immediatley. Please include your brand name and the Item ID of the listing you are querying. The item "Speed Pool Cloth, 7 x 4 Bed & Cushions, Blue" is in sale since Saturday, May 26, 2018. This item is in the category "Sporting Goods\Snooker & Pool\Table Covers".